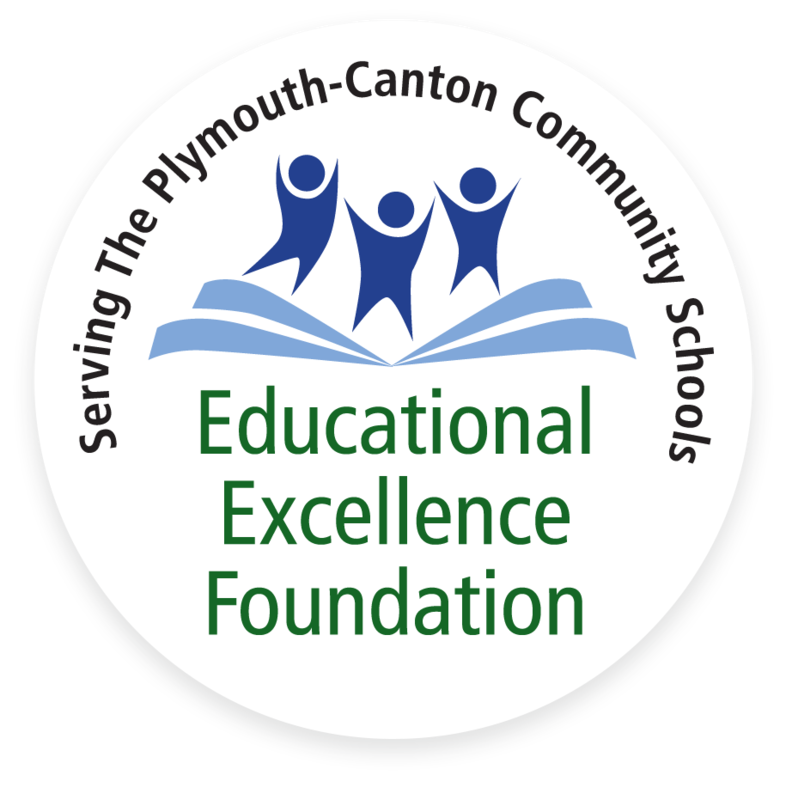 Thanks to the generosity of our donors, the EEF annually awards over $20,000 in Scholarships to outstanding graduates of the Plymouth-Canton Community School District (P-CCS).2018-19 Scholarship applications are available in the High School Counseling Offices. Purpose: To provide financial assistance to a Plymouth-Canton Community School graduate who is furthering his/her education. Students must submit a one-page essay: "How do the virtues of the Optimist's Creed exemplify the human qualities you learned as an Allen Elementary School student?” Winners are selected by the Optimist Club. Purpose: To provide financial assistance to a Plymouth-Canton Community School graduate who attended Bentley Elementary. Purpose: A scholarship to provide financial assistance to a Plymouth-Canton Community Schools graduate who plans to pursue a degree in information technology or engineering. Scholarship Amount: $750 and is renewable for a second year. Purpose: To provide cash awards to the winners of the John Gaffield Student Photography Contest held in the spring of each year in the areas of: Manipulated digital/digital art, film and digital photography. Amount: In each category: $50 First Place, $35 second place, $25 third place. Purpose: To recognize a P-CCS Senior who has displayed outstanding abilities in visual arts and plans to continue his/her education in this field. Purpose: To provide financial assistance to a Plymouth-Canton Community Schools’ graduate who attended Gallimore Elementary School. This scholarship fund was established by Carole Sweet, who taught at Gallimore Elementary School for 24 years. Purpose: To provide financial assistance to a high school graduate, who attended Isbister Elementary School for grades 3, 4 and 5. This scholarship fund was established by the Isbister Elementary PTO in 2011. Purpose: To provide post-secondary financial assistance to a 2019 graduating senior from P-CCS who benefited from Joan's Dedication to teaching. Purpose: In 2008, the children of Joan Strautz created this memorial scholarship in her honor to a deserving student(s) in the district who is pursuing a career in education. Purpose: To provide financial assistance to a high school graduate, graduating senior or student enrolled in or entering culinary school. This culinary scholarship was established by Karl’s Cabin Restaurant & Bar to honor its founder, Karl Poulos. Mr. Poulos worked in kitchens for over 50 years and had a passion for creating dishes that brought joy to all his guests. This scholarship recognizes the need to promote education, professionalism & spirit in the culinary industry. Purpose: A monetary award for students to excel in the Michigan Math Prize Contest. Purpose: For the Plymouth Girls Golf Team’s Most Improved Player. The MAGGLE Award was created by Coach Chris Moore in honor of Maggie Kathleen Furlong whose nickname on the team was “Maggle”. This award recognized the team member who had the most improved performance during the season which Maggie demonstrated during her two years with the golf team. The Maggie Kathleen Furlong Educational Excellence Foundation Memorial Fund provides a college scholarship to the MAGGLE award recipient. Purpose: The Marjorie Croll Memorial Scholarship was established in 1989 in honor of Marjorie’s many contributions to the Plymouth -Canton Schools. This award will be given each year to a graduating Plymouth-Canton Community Schools senior high school student who has been accepted to an accredited university or community college and is planning to be a teacher. Purpose: A scholarship to provide financial assistance to a Plymouth-Canton Community Schools graduate who plans to be a teacher. This scholarship was established by Sara J. Morgan and James C. McKenna in honor of Margaret McKenna and Pauline Morgan who taught for many years in our school district.